Research is essential to crafting a public affairs campaign that will truly resonate with target audiences. Public affairs campaigns often hinge on convincing people to support a certain cause. Very often, the key to achieving this is a matter of first asking the right questions. Such was the case for HŠagen-Dazs, which earlier this year employed Ketchum Public Affairs to help develop Congressional testimony and a public affairs campaign to raise awareness about the unsolved mystery of America's declining honey bee population. Making the case for why the public should care about the seemingly arcane issue of honey bee populations might seem like an arduous task. However, as research by Ketchum showed, the status of honey bees can affect food prices - given its importance as an ingredient - as well as the importance of bees to pollinating many ingredients, such as berries used in ice cream. Incorporating that messaging into the congressional testimony and related public affairs outreach helped drive home the issue for Congress, the media, and consumers, says HŠagen-Dazs brand director Katty Pien. Yet, in the beginning, HŠagen-Dazs wasn't quite sure how to frame the topic. "We don't usually get involved in politics," she says. "This was our first experience in public affairs, and we really didn't know to expect." Time was limited for Ketchum to research and develop the public affairs messaging and outreach the ice-cream maker wanted to do in connection with the congressional hearing, at which Pien would speak, on honey bee issues on June 26, 2008. 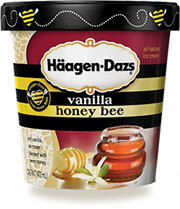 Four months earlier, HŠagen-Dazs had launched a consumer campaign that donated money from a special flavor, Vanilla Honey Bee, to honey bee research. But the company also wanted to make itself heard on Capitol Hill, where previous testimony in hearings had focused on the scientific issues related to the problem, not its practical effects. So the research team did a quick media analysis of how the issue had been covered in the past, as well as a qualitative audit of agriculture reporters, eight or nine of who discussed how they viewed the issue with Ketchum. "We looked at all the previous testimony and it was pretty wonky entomologist, bee keepers stuff," says Ketchum VP and director of research Christina Nicols. "The reporters were understanding the issue in a very scientific way. They didn't think the HŠagen-Dazs angle was significant, and were not thinking of the issue overall from a consumer standpoint. But when the research team talked about the impact for consumers, the costs involved, they understood." The research team also purchased a few questions from a weekly consumer "omnibus" poll, in which a research company, like Harris, groups together questions on a variety of topics. The team used the results to demonstrate how consumers had in fact never before made that connection between bees and food prices. This helped validate the planned messaging. The results of the testimony and campaign, which included media outreach and a Capitol Hill ice cream social, were fantastic, Pien says. Congressional testimony accompanied by media outreach to both trade and general interest media led, among other things, to the Oakland, CA-based HŠagen-Dazs' first mention in a front-page article in the San Francisco Chronicle, according to Pien. The burst of media also added momentum to the consumer campaign. "We originally thought this was one small part of the integrated campaign," Pien says. "But what it has done is breathe new life into our campaign." Sometimes the most effective campaign pitches incorporate the actual research behind them. For example, Quest Software, a provider of IT products and services to the federal government, recently used research as the actual meat of its public affairs campaign, which surrounded the much-covered issue of password security within the government. Like the problem with the honey bee population, the public affairs issues that Quest ultimately focused on might seem arcane: compliance by the government to IT mandates, such as HSPD-12, FIPS 201, and FISMA. The ultimate business aim of Quest is selling its products and services for meeting those mandates, but the more immediate aim of Quest's campaign was to establish the company as a "thought leader" on issues of concern to its buyers. Few people outside the government IT world would know what those acronyms mean, notes Julie Litzenberger, VP at Sage, Quest's PR firm. But many do know about IT security breaches that led to the loss of personal identification information from various government agencies, and protection against such security breaches are what the mandates help provide. Helping make the connection between the acronyms and the loss of ID information was the research done on behalf of Quest, notes Melissa Marcello, president of Pursuant, which helped Sage develop the research. "You could reduce it to trying to sell more of their product, but that's easier said than done with government agencies," Marcello says. "They could have mandates, but if there are not appropriations, they can't meet them. So it's as much about educating legislators [or] folks inside the Beltway, as it is about getting the product in front of them. The research reached out to a rather bureaucratic, specialized bunch through 474 interviews ranging across federal, civilian, and municipal agencies. Among the findings: 69% of government IT pros regard "identity management" as very important, but just 36% believe their organization will be compliant with related government mandates within the next two years. These were figures that helped people understand what the real issues of concern within the government were about security. As a result, the team garnered widespread media coverage in both the all-important government IT magazines as well as "mainstream" IT trades, such as InformationWeek and Network World. They also are being used in outreach by Quest executives at conferences and other industry gatherings - just another way that effective research can extend the life of public affairs campaigns. "Security is a hot button issue, no more so than in the government," says Daphne Kent, PR manager at Quest Software. "There was so much interest from the media once the announcement came out from the survey, and they can continue to draw from it." Learning from your audience through focus groups, online bulletin boards, etc.